Post your used specialty vehicles for just $99! Please fill out the form and we will contact you with any questions – thanks! By posting your vehicle you are accepting the price of $99.00 for 90 days. 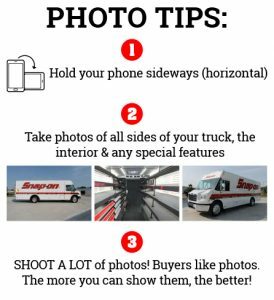 Follow these tips for taking great photos of your truck!